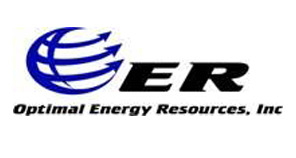 Established in 2012, OER is focused on optimally managing capital projects. The company's business philosophy is comprised of value stream mapping, continuous improvement, and a team culture ready to execute your project. Ensure that safety is always #1. Point every leader and manager decision, company policy, and organizational practice toward achieving repeatable velocity. Organizational learning to become the collective experts in the product lines we offer. Be the best execution schedule solution for a select group of products that serve the design and building of upstream gathering systems and facilities. The OER difference is that we have taken a small scope and determined the fastest way, from the cradle to the grave, to repetitively achieve that scope through planning and benchmarking in a continual improvement method. Once you say go, we will get to work on effectively and efficiently achieving your midstream gathering systems, EPCM and inspection services, as well as facility equipment and system integration.